This 50-foot cords feature 50 sockets spaced every 12 inches along the 18 AWG wire. Purchase 50 of our C7 incandescent bulbs or C7 LED Bulbs to fill them. These cords are what professionals use to light commercial properties as well as residential ones. 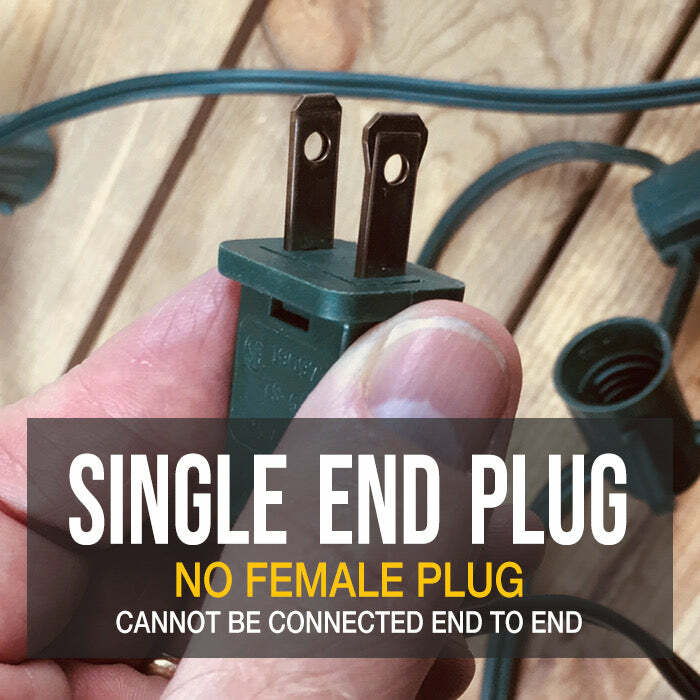 These cords come with a male plug only. Do not run this 50-foot cord in series with any cord that has a different gauge. All of our 50, 100 and 100-foot cords are 18 AWG so they cannot be run in series with our 25-foot cords. This cord is 50 foot Commercial Grade. Commercial Grade Ideal for Lighting Short Outdoor Distances such as Bushes,Walkways, Door Frames, Patios etc. That's the thickness of the insulation. Most commercial cords in the marketplace are SPT-1. 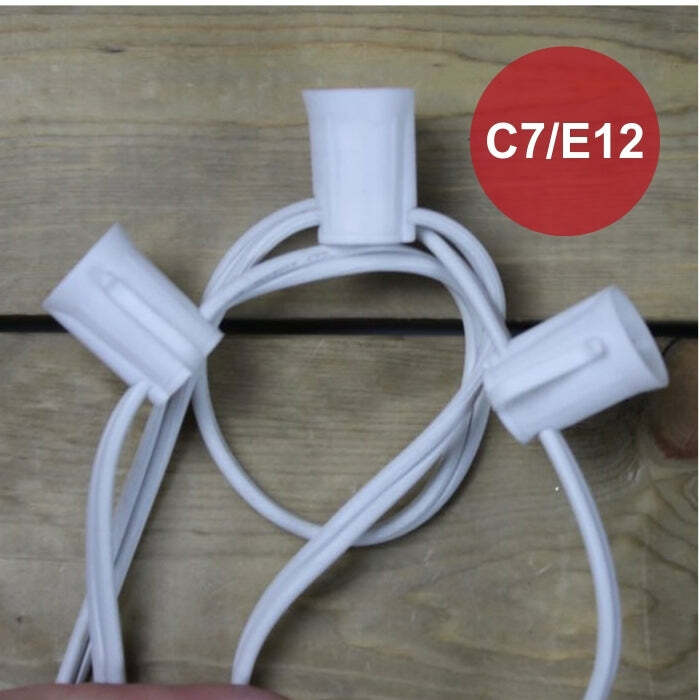 Let me know if you have any other questions about the C7 cords.